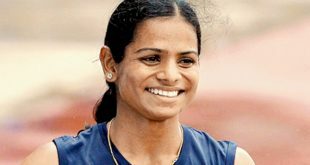 Bhubaneswar: Ace sprinter Dutee Chand will participate in the World Athletics Championships in London, despite failing to touch the qualification mark of 11.26 seconds. She has received an invitation from the International Association of Athletics Federations (IAAF) to participate in the World Athletics Championships. Dutee got the wild card entry since the necessary number of 56 athletes for women’s 100m event could not be fulfilled for the World Championships, scheduled to be held in London from August 4 to 13. 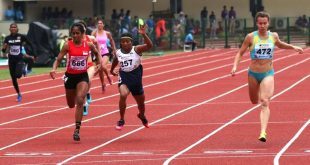 Dutee had won a bronze medal clocking 11.52 seconds in the 22nd Asian Athletics Championships in Bhubaneswar held earlier this month. She, however, bettered her timing of 11.30 during the Indian Grand Prix in New Delhi on May 15.